The Village Theater North on Pine Knot Ave. offers the latest first-run movies. They have three movie theaters with movies running every night and matinees on selected days. 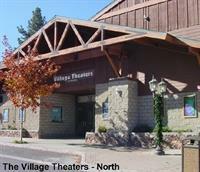 The Village Theater offers full a snack bar featuring a selection of candy, popcorn, soft drinks, coffee, etc.